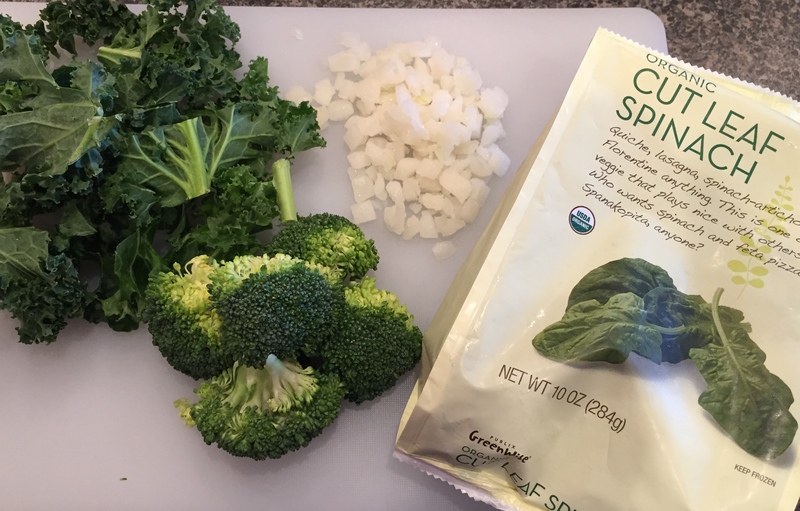 One of the top food trends in 2014 was kale: kale chips, kale smoothies, kale soups, kale everything started to show up on blogs, restaurants and grocery stores. This year kale is still going strong, and other greens are getting some attention as well such as spinach, arugula, mustard, collards and beet greens. They are powerful leafy vegetables rich in fiber, antioxidants, vitamin C and other vitamins and minerals making them an integral part of your diet to combat disease and aid in immune system health. The tricky part is how to eat them. They can be added to salads, but some can be quite bitter when raw. Another way is to steam and enjoy it with a little drizzle of olive oil and salt. The most popular way to consume them has become either in juices or smoothies. They are easy to add to the blender and with the right mix of fruits and sweeteners (honey, sugar, fruit juices and even Once Again Nut Butters) they can be quite delicious! But it is winter, and a frosty green smoothie is just not what most people are looking forward to on a chilly day! Soup in the other hand is comforting and perfect to warm you up from the inside out. What better way to get your greens than in a warm bowl of soup? This Powerful Green Soup combines 3 different greens in just one bowl, and to thicken and add the perfect texture I used Once Again Nut Butter Tahini. This soup is gluten free, vegetarian, dairy-free and loaded with nutrients. The Tahini serves three purposes in this soup: to thicken, add flavor, and add protein! It makes the soup creamy without adding milk or dairy cream. A few years ago I received an Immersion Hand Blender as a gift which completely changed the way I prepared soups! After boiling and cooking the soup, the next step is to wait for it to cool to transfer to a blender for a creamy soup. That extra hurdle did not fit “my style” of cooking (aka – simple, easy, not enough time to wait around “style”). With the hand blender, I was able to cream the soup right on the pot, and there is no waiting for it to cool. If you don’t have one, add it to your “wish list”. I hear they are great for other things too, but believe it or not this is the only way I’ve used mine so far. 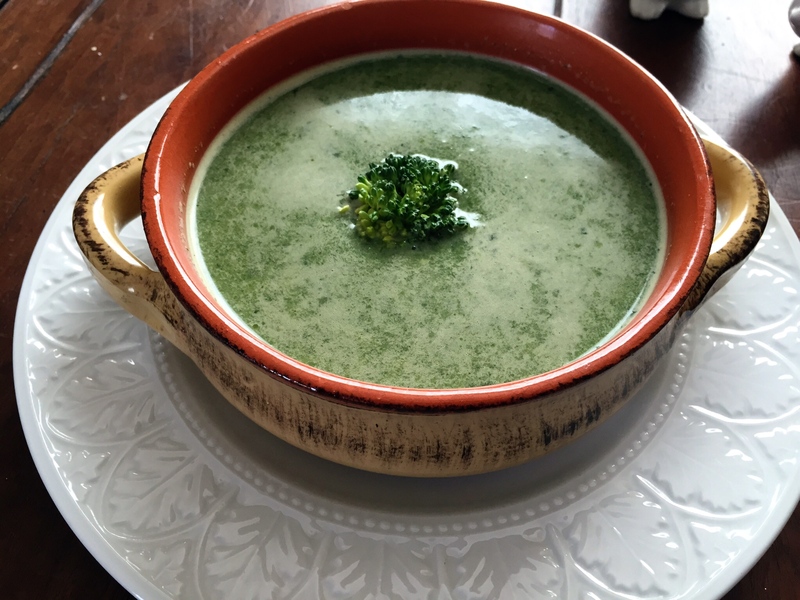 Back to the Powerful Green Soup: it is a must try for your family. My 5 year old loved it, but my 7 year old wasn’t a big fan, so I suggested a dollop of sour cream and some cheese on top and she was asking for seconds! It’s our way to boost our immune system and hopefully prevent the cold and flu from getting into our house. Add olive oil and broth to pot and bring to a boil, then add the onions and broccoli to cook for about 10 minutes. Add the kale and cook for another 5 minutes. Remove from heat and add spinach, Once Again Tahini and salt. Mix well. Use Immersion Hand blender to cream or wait for it to cool a bit, add to blender and blend until desired consistency.